Despite the rising power of electronic health record systems (EHRs), they are still widely misunderstood and often misused. The following guest post on dispelling the myths of EHRs was submitted by Andrea Bell. Health records, whether electronic or paper-based, are an essential record-keeping tool that supports clinical decision-making at every level of diagnosis and treatment. Concerns about patient privacy and confidentiality are nothing new. The privacy matters of patients’ are as old as the practice of medicine itself. When it comes to electronic health records of patients, privacy is always top of the list. Tablets, smartphones, and web-enabled devices have totally transformed our daily lives and the way we communicate. The healthcare industry is carefully trying to manage technological innovations and patient’s health records through computerized systems. Individuals and healthcare professionals are working in close collaboration with each other to make health data safer and accessible in order to enhance systems of treatment for patients. Electronic health record data banks have stronger prospects for transforming the health care industry. These new systems can provide an extensive amount of information related to the patients’ medical history in a few clicks, thereby completely doing away with obsolete paper systems that delay treatment and diagnoses. This new tool now helps staffers to process patient record-keeping more promptly than ever before. This swift service was not possible with paper-based systems where administrative officials had to search through piles of files for patient records. 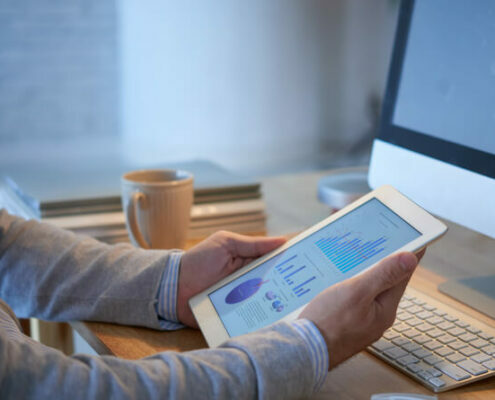 Despite the several intelligent and easy uses of EHRs, there are a couple of misconceptions about the technology and debates about its functionality. Here we have tried to dispel the 8 common myths and misconceptions about EHRs. Many practices take great pride in adopting new technologies, but one needs to realize that it’s important to know that paper-based systems are simply less efficient than electronic systems. Its very easy to have access to patient health record information, and you can streamline workflow in general by automating patient records. Since electronic health records have continued to progress and mature, they have also been developed for a wide variety of uses; from leading government hospitals to part-time private clinics, and everyone else in the field of medicine. With the growing change in needs, there are variations in the cost of an EHR, the quality of software and functionality. Based on the size of your practice and patient turn-over, you are most likely to find an option that perfectly suits your needs as well as your budget. Installing a new EHR system at your hospital or private practice is no guarantee that your employees or team members will start doing their jobs more efficiently or process patients more swiftly. Anyone who says they can use the system without elementary training, should be observed carefully. While some EHR systems are relatively easy to learn than others, it’s important to ensure that some basic training is provided to staffers so that they become proficient at using this system. And once you and the team become acquainted with EHR, the efficiencies will increase while redundancies will decrease. This myth that the staff, providers or other healthcare professionals entering data or transcribing text into an EHR system seems mechanical and ‘cold’ to patients and comes at the risk of deteriorating relations between the two couldn’t be further from the truth. It can in fact be the other way around. Patients should be made to understand and appreciate at the same time that using an EHR helps secure their medical information minus the errors. In fact, it’s worth a short discussion to let the patient know how much the EHR will help them in terms of safe and secure information, there will be little or no chance of missing charts, flipping test results or anything similar. Patients should be educated on how the EHR helps avert possible disasters in the event of fire or theft. 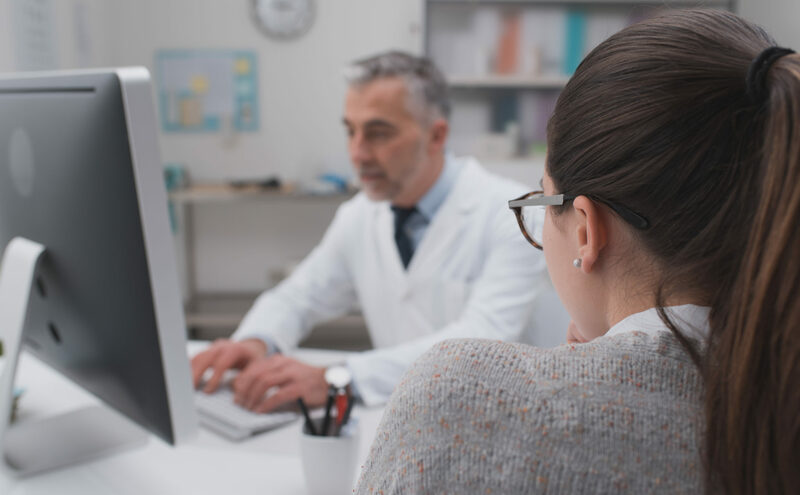 It has been observed that medical practices nowadays post on their websites and have printed information available that the practice uses an EHR, and why its use is beneficial for patients. You can say that at one point a decade ago, EHRs may not have been very user-friendly, or designed for specific industries. But EHR technology has traveled a long way and is typically very easy to understand and use, and greatly helps in reducing administrative workload. Electronic health record systems can save a lot of time from your workday by putting every minute detail from clinical files at your fingertips, while also increasing efficiency, reducing errors, and letting you work anytime and from anywhere with a Wi-Fi connection. With the boom of electronic medical records, there were EHR systems that were quite difficult and technical to navigate for a layman. However, as the field has progressed, significant improvements have been made in this area. If we go back a decade, the vast majority of electronic health record systems were designed specifically for medical fields or for hospital settings and people who used these systems were aggressively trained. Since then things have changed significantly. EHR systems are now being designed for different industries such as eye care, chiropractic care, and mental health. Technology is evolving at a remarkable pace and it continues to improve the user-friendliness of EHR systems, and there is a focus on intuitive and easy-to-use navigation in the latest EHR systems. The notion that practitioners or healthcare providers can only be categorized in one of two extremes when it comes to electronic health records, isn’t right. There were a few early adopters of the system who saw its potential, implemented the systems and dealt with the initial trials and errors, and on the other hand, there are also those few who would prefer realy retirement over using a new electronic system. However, the biggest chunk of healthcare providers falls in the middle category because, at the end of the day, they have practices to run and patients to see. EHRs can’t be a barrier because there’s simply too much work to be done. So the expression that an old dog learning new tricks does not really apply to providers and physicians because their business constantly requires from them to learn new techniques, therapies, and approaches and EHR is one of them. A lot of healthcare organizations and practitioners who have already implemented an EHR system say it doesn’t really matter what specialty any physician is in. Everyone has different ways of approaching the practice of medicine, but the very basics of clinical medicine are the same around the world. EHRs do require some level of customization for each health care organization and physician, and it is very much possible to do so. With accurate information and logical reasoning, it’s easy to get over the misconceptions that usually circulate when implementing electronic health records software at government based healthcare organizations or private practices. Similarly, is it also a misleading fact that IT departments in healthcare organizations deploy a software just for the heck of it or just because it is the talk of the town in terms of latest technology. Therefore, with these 8 major misconceptions dispelled, I am sure there will be less ambiguity about electronic health record systems.